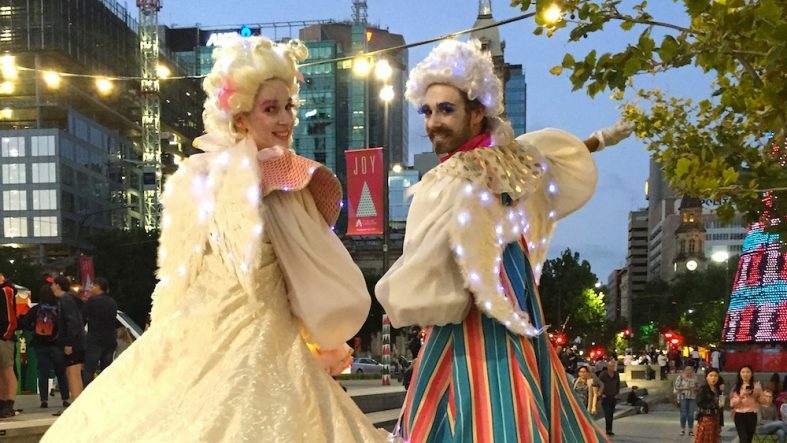 Events and Festivals that hire our Australian acts! 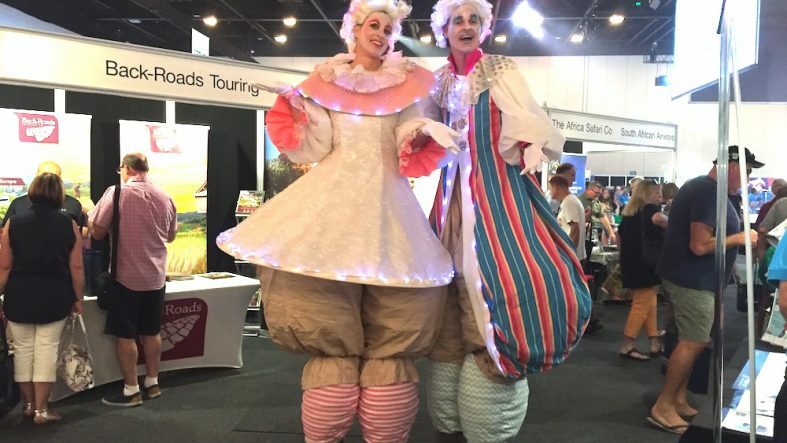 - Slack Taxi ""
Adelaide Convention Centre came alive with a Travel Expo earlier this month and out French inspired Clowns (stilt walkers) found themselves amongst a very chilled and happy holiday planning crowd. So many choices, so much fun. 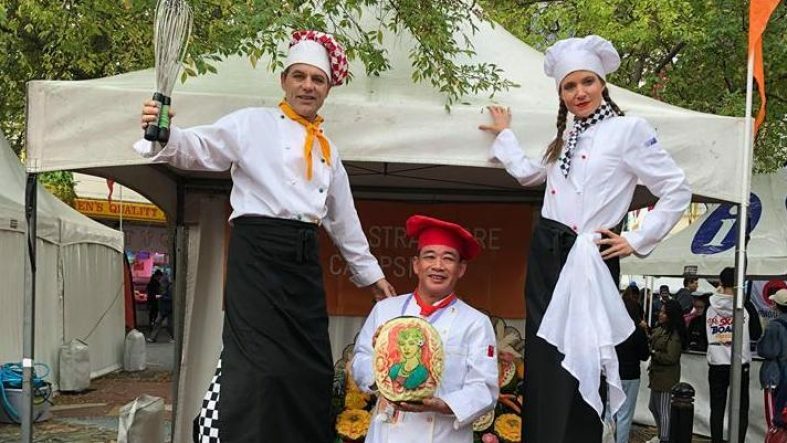 Merci!! 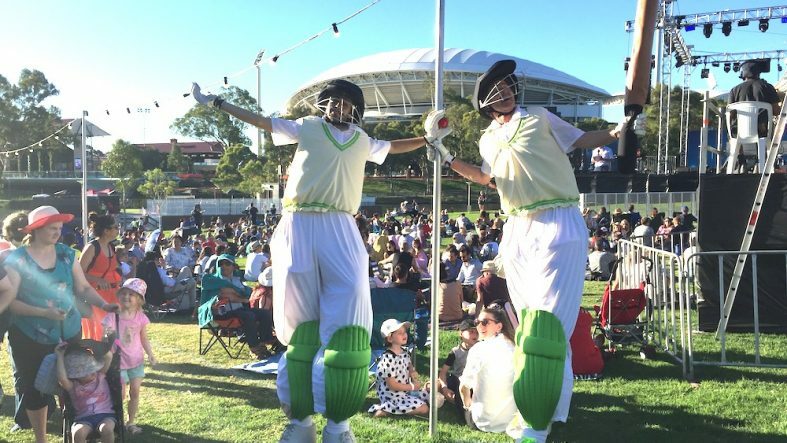 What better to have roving at an event on Australia Day than some giant Stilt Cricketers! 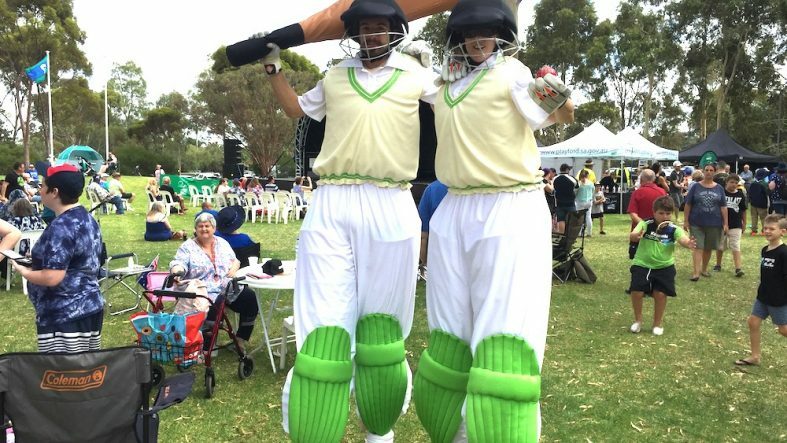 At an Australia Day breakfast ceremony in Elizabeth, on the outskirts of Adelaide, our sporty cricket heros kept the early crowd smiling and entertained. 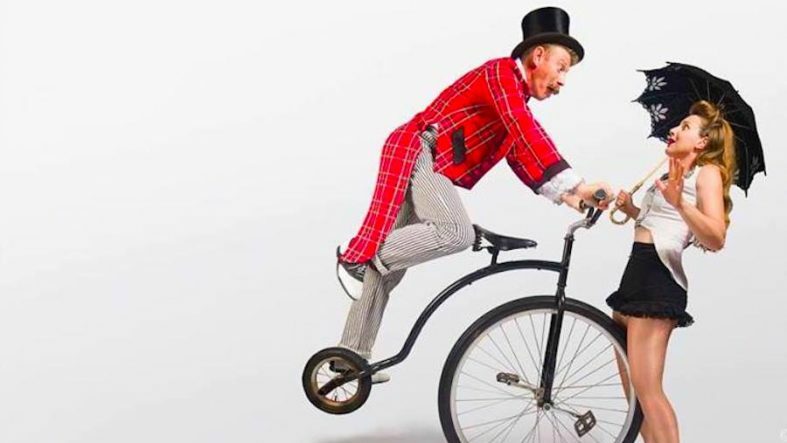 Parading along Parramatta Road for the Sydney Festival was the Penny Farthing Duo, a top Australian Bike Act that can do roving or shows, and even a parade or two! 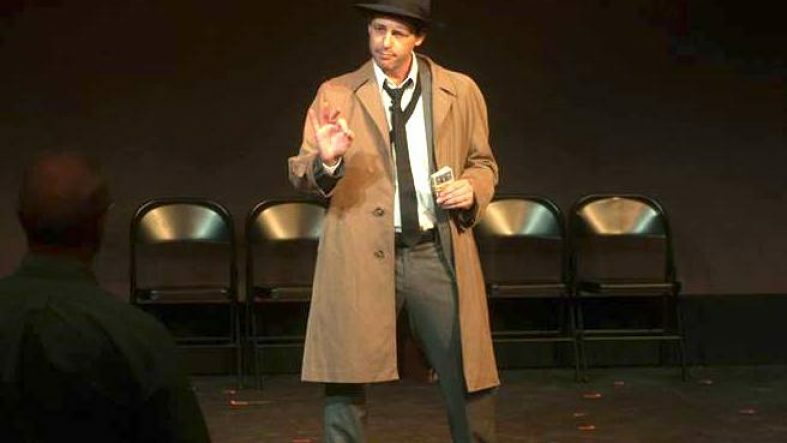 Wonderful skilled and interactive performers with a vintage feel. 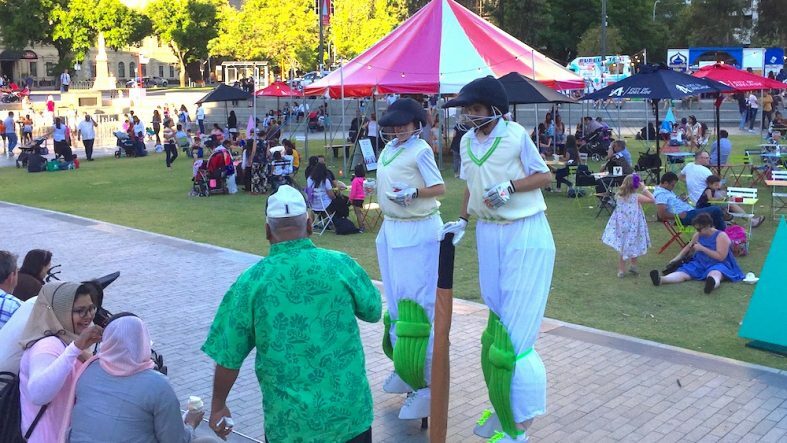 Our Stilt Cricketers were a welcome sight on New Year’s Eve in Adelaide. Roving at the major festivities in Elder Park, they were just adjacent to Adelaide Oval where the Big Bash Cricket was in progress! They took one for the team! 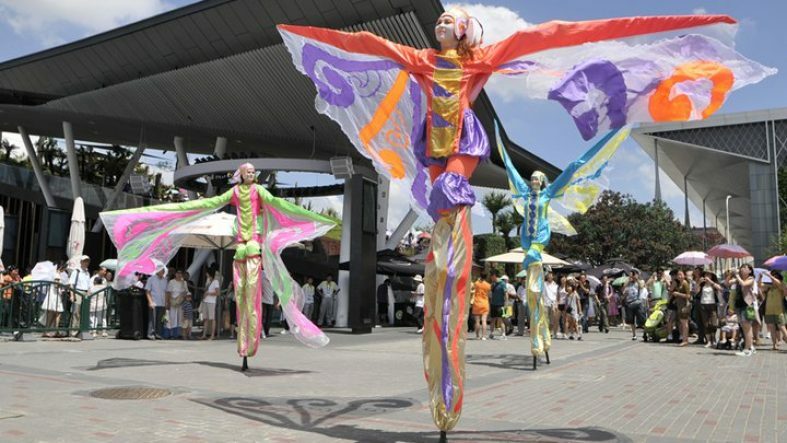 More with the Stilt Angels, popular at Adelaide Christmas events. Gorgeous and timeless costumes unique to Slack Taxi. 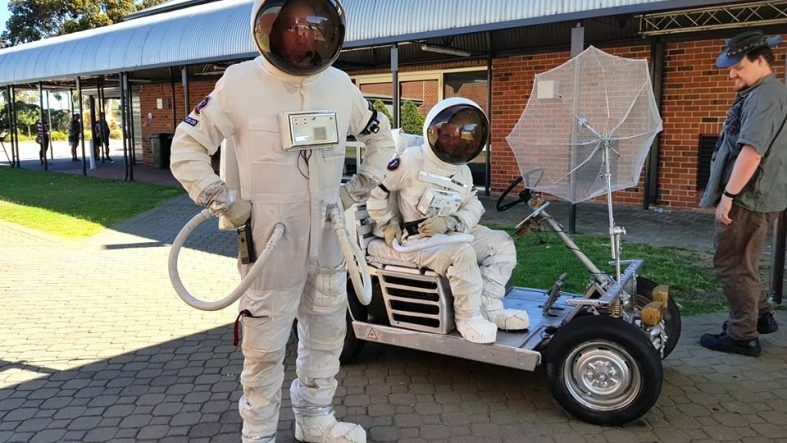 The roving Astronauts and Lunar Buggy were a welcome feature at the Steam Festival in Cannington, Perth. 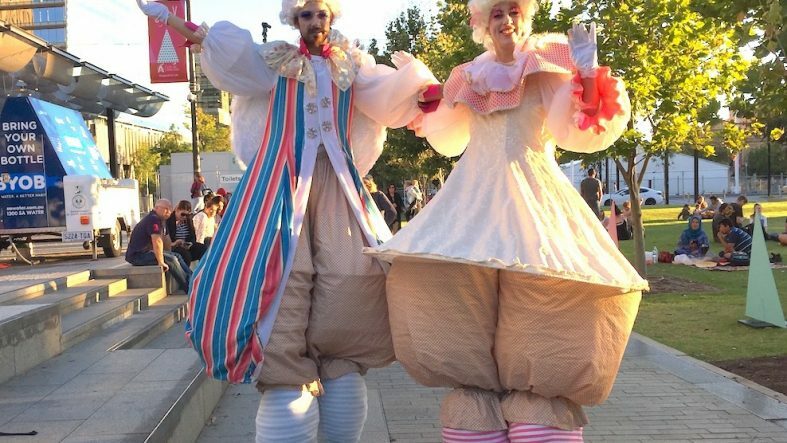 Realistic costumes and buggy and fun interaction go into the out of this world act! 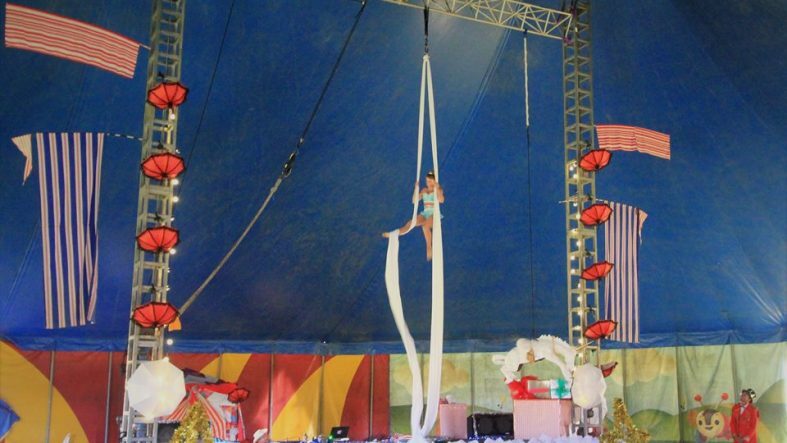 Performed by very experienced Perth Circus performers.